We like to call it our, “Don’t Worry, Be Happy” strain. 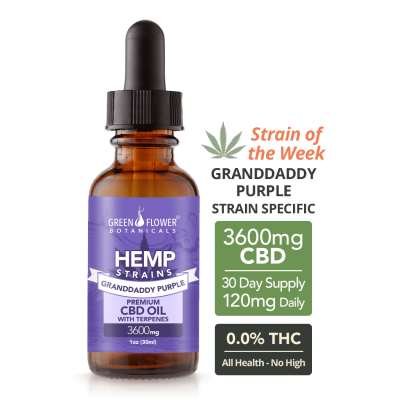 CBD by itself, is widely known and researched for its anxiolytic (anti-anxiety) potential. The Granddaddy Purple Strain brings a special magic to the CBD with two very powerful terpenes, linalool and myrcene. These two terpenoids work synergistically with the CBD, and other trace cannabinoids, to bend the effects of the oil to further enhance its anxiolytic and calming effects. Our 300mg tincture is a favorite with moms. 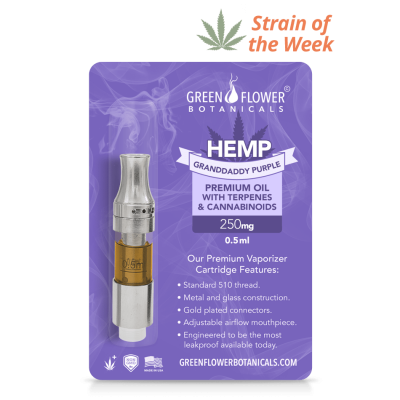 With 0.0% THC and a slight grape-like flavor, this oil is suitable for children and easily administered. 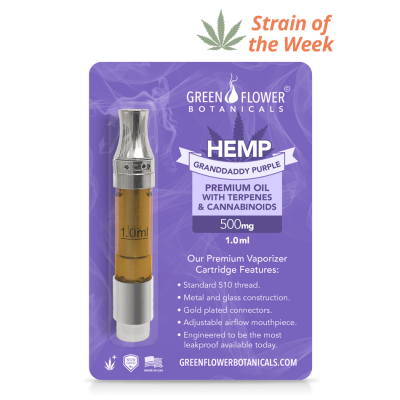 For adults using the strain, the 250mg and 500mg vape cartridges are especially popular. 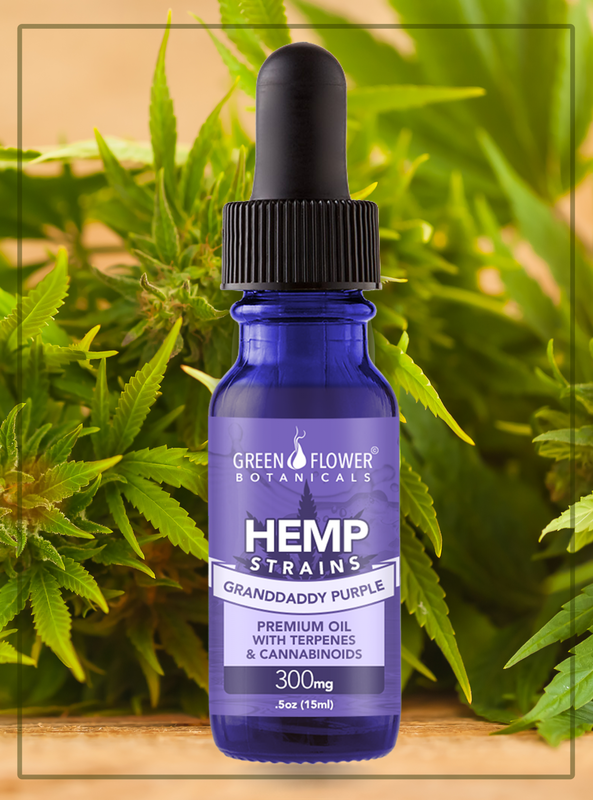 You may have to wait til 5 o’clock to uncork a bottle of wine, but you can vape Grandaddy Purple anytime – it’s also known to make some people better at rhyming (only kidding). It’s important to not limit this strain solely to its calming and anxiolytic properties. 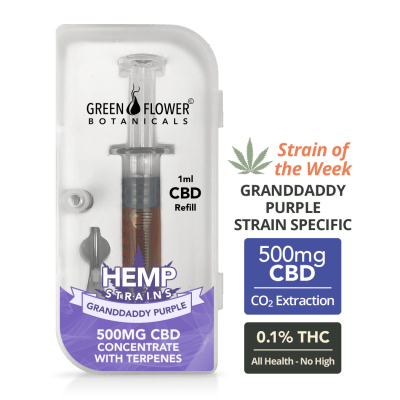 The Grandaddy Purple terpene profile has also shown potential for its strong analgesic, anti-inflammatory and anti-convulsant properties. Take some time and learn about Granddaddy Purple and see if it’s the right strain for you.